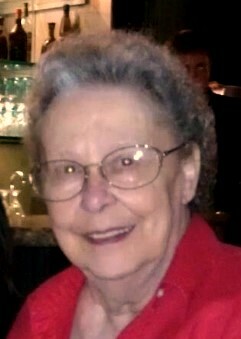 Nelda Hurley, 82, of Ward, Arkansas, went to be with the Lord surrounded by family and friends on January 16, 2019. She was born October 31, 1936 in the Apple Hill community to Jim and Lois Ballard. She was a graduate of Cabot High School. She married Lloyd Hurley December 27, 1963 and happily spent 52 years together. Together they raised 3 children, 3 grandchildren and 1 great grandchild. She was a devoted wife, loving mother, grandmother and great grandmother. She is survived by three children, Pam (Ricky) Crabtrey of Ward, Kim (Mark) Graham of Huntsville and Steve (Constance Lewis) Hurley of Ward; three grandchildren, Michelle (Laura Bennett) Crabtrey of Ward, Elizabeth Graham of Little Rock, and Sergeant Jeff (Hannah Holetz) Graham of Camp Pendleton, California; one great-grandchild, Kenzie Crabtrey; one brother, Jimmy (Delores) Ballard of Ward. She was preceded in death by her parents, her husband Lloyd Hurley, two half-brothers, Buck and Billy Ballard; one half sister, Marjorie Dyson.